One of Los Angeles’ most infamous parties is back on Nov. 10 for another full day of live music. 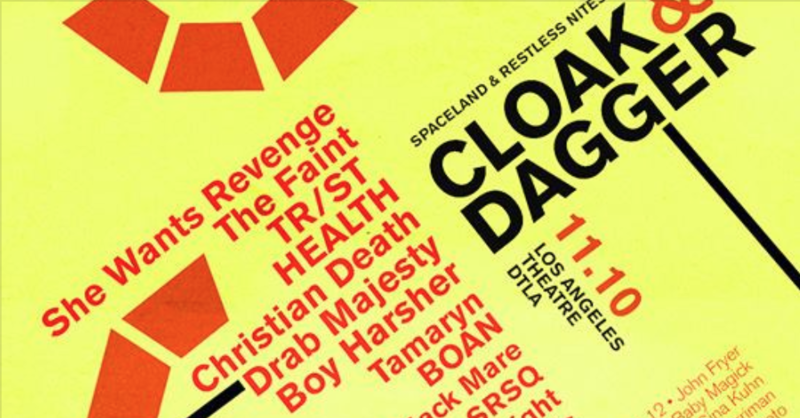 The event, which is put on in part with Spaceland and Restless Nites, offers a selection of minimal synth, dark wave, post punk and more throughout the night for your dancing pleasure. This iteration’s lineup includes HEALTH, Black Mare, Death Bells, Body of Light, TR/ST, The Faint, She Wants Revenge, Drab Majesty, CHRISTIAN DEATH OFFICIAL, Boy Harsher, Tamaryn, BOAN, and SRSQ. This event takes place from 3 p.m. – midnight at The Los Angeles Theatre. For tickets and more information, you can visit the link below.